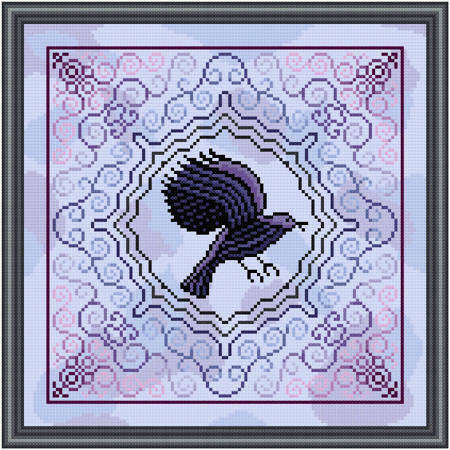 Caw-w Caw-w-w cross stitch pattern... A crow is depicted as a Halloween image surrounded by an attractive border. All whole stitches. Floss colors may be changed. Hand dyed fabric can add to the appearance and increase the appeal.